The KIP 720 color & monochrome scanner scans pictures, maps, CAD drawings and more with ease. Designed to take care of everyday scanning needs and can be operated from the KIP Touchscreen or PC workstation. 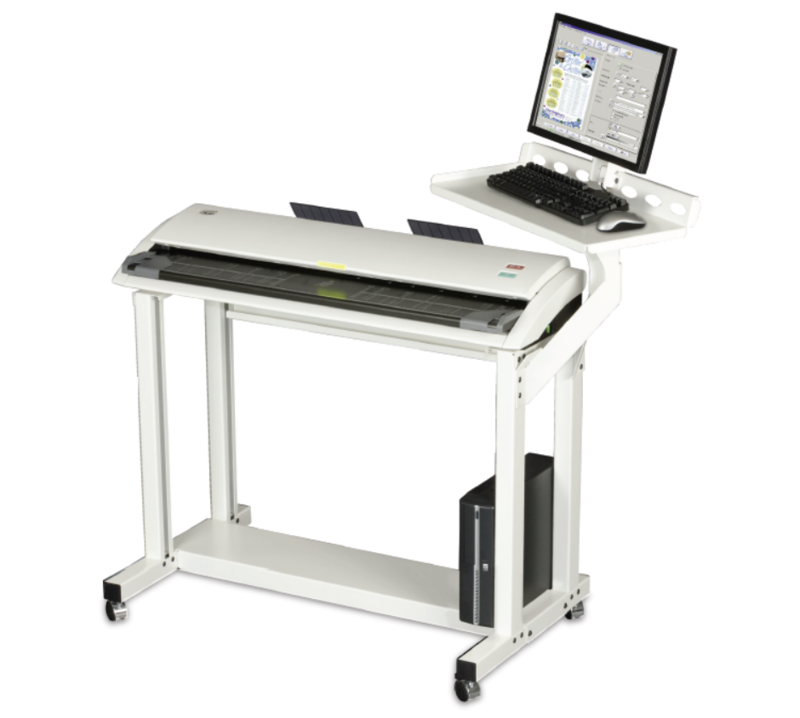 The KIP 720 Large-Format Scanner comes equipped with a USB 2.0 and accommodates 1.6 mm paper thickness. It scans up to 38 ft per minute in black and white and 13 ft per minute in color. The CIS scans lines, maps, CAD drawings and more with the utmost precision.